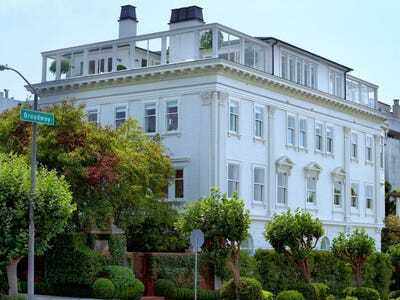 A home that has just come on the market for $US39 million is now the most expensive listing in San Francisco, Curbed SF reports. 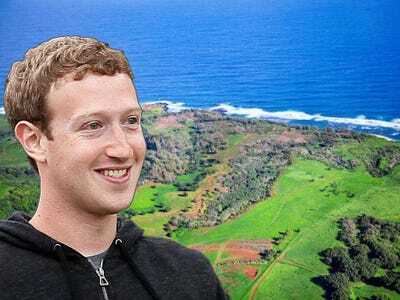 The home belongs to chef Roxanne Klein and serial entrepreneur Michael Klein, who founded and sold three telecommunications companies before starting a guitar manufacturer called Modulus Guitars. The Kleins’ mansion may be pricey, but it is very chic. There’s beautiful moulding, lots of antique fireplaces, and plenty of space situated over five floors. 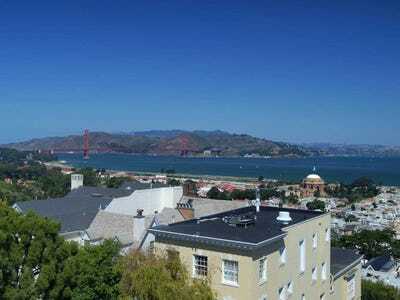 The home is located on Broadway, in San Francisco's ritzy Pacific Heights neighbourhood. 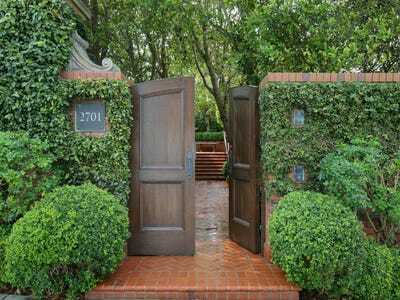 Enter the home through a door in an ivy-covered wall. Built in 1910, the home was restored in 2002 and has lots of beautiful, traditional places to sit. 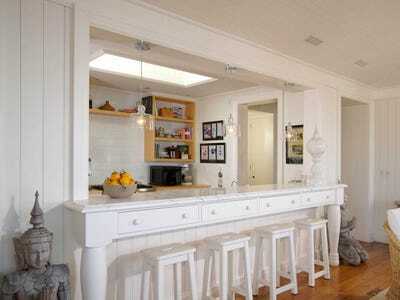 The kitchen has a large island and shiny light fixtures. The dining room is a more formal place to eat. This library is a cozy place to relax. As is this sitting room. The room opens to a backyard that's nicely sheltered by hedges and trees. Also on the ground floor, an indoor basketball court looks ready for some pickup games. 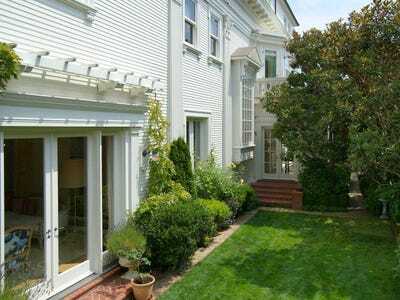 The home has a total of 16,000 square feet, situated over five floors accessible by an elevator. Here's one of the home's seven bedrooms. And here's another one, presumably for the kids. The master suite is truly a sight to behold. 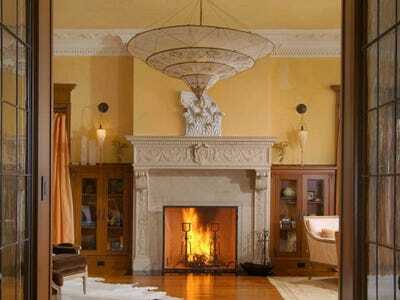 Ornate moulding and a giant fireplace make for a dramatic entrance. There's also this luxurious couch with an amazing vantage point. 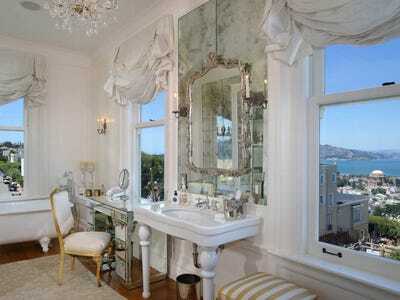 The master bathroom also has some ornate decor. 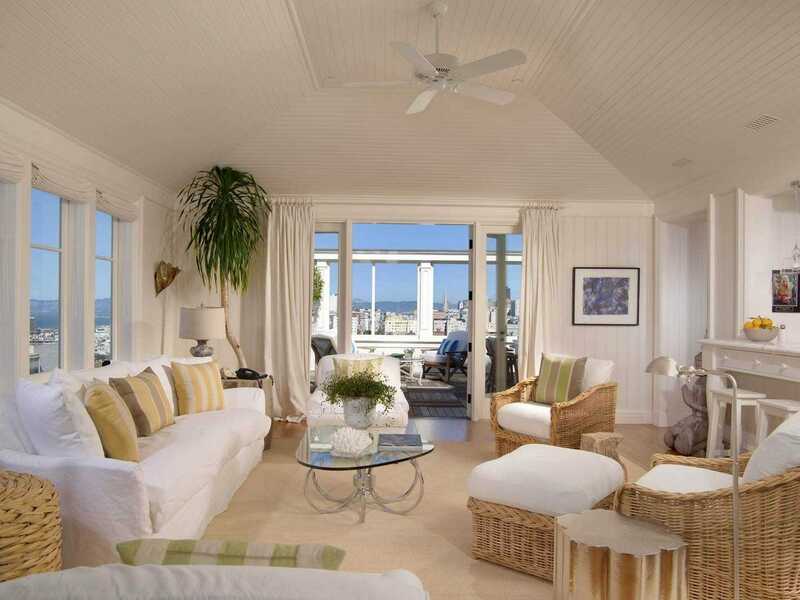 A gorgeous wood-paneled office has a spacious terrace that looks out over the Bay. There are several places to relax around this house. 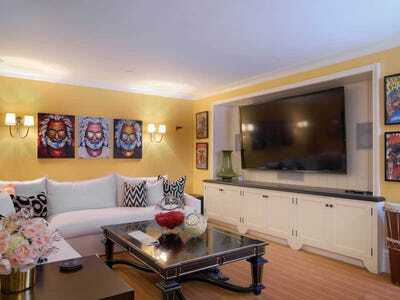 Here's another living room with a giant flatscreen TV. This art room could serve a number of different purposes. The top level also has many different seating areas. An upstairs study looks cheery and bright. There's also another kitchen area on the top level. The entire top floor feels open and filled with light. And the living areas open on to this enormous rooftop terrace. The view is amazing from up here. Now see some more expensive homes.